Eat out to your heart's content and not be overweight: As Fred teaches readers how to eat out and lose weight, he reveals the real secret: It's not about preparing "clean" food at home, or going "whole" and excluding wheat, sugar, and dairy. Nor is it about counting calories or grams. It's about WHY one overeats in the first place. Fred reveals his story of growing up in an Italian family, and how his parents' divorce led to his eating compulsions. He tried every fad diet, but Fred was searching for a lasting solution. With the help of his doctor, a nutritionist, a trainer, and a psychologist, he was able to devise a four-phase diet and exercise plan. Fred proves that if he can do it, anyone can. He has kept the weight off for six years, running four marathons ― he looks great, feels great, and can enjoy great food and drink wherever he is. 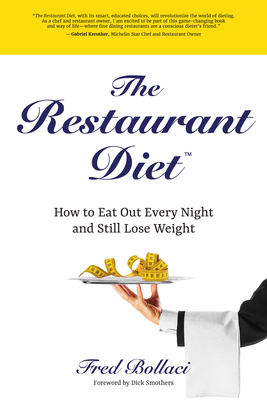 Guilt-free restaurant dining: Featuring recipes from America's most noted restaurant chefs, as well as original recipes from Fred's own kitchen, The Restaurant Diet is for the 19 million Americans who love to eat out on a regular basis ― and the 38% who are overweight.